Stephanie Basket which is round and has yarn incorporated in it. The Honeymoon Basket that requires a 10 X 14" D-handle. 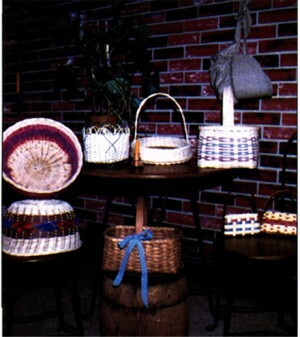 Annie Basket is round and woven on a 12" wood base. Natalie’s Heart Basket is oblong and has intricate hearts at each corner. So Simple Hanging Basket is for the wall and requires either a 6" or 10" D-handle.